Ortofon OM Arkiv Cartridge Kit DJParts - All Variety of Parts that DJ Needs. Ortofon, the world leader in high quality DJ cartridges is proud to announce the new Arkiv cartridge – an innovative product that facilitates high quality transcription of vinyl to digital formats. The Arkiv provides accurate sound reproduction, with remarkably pristine highs and stereo imaging, to provide optimal quality when transferring vinyl to PC, CD, or other digital storage media. 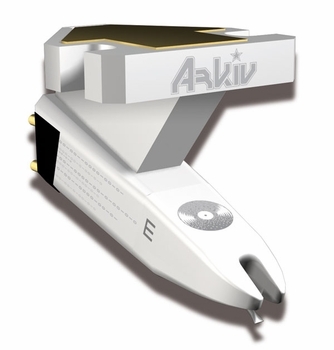 With the overwhelming popularity of time coded vinyl solutions, PC-based music production/sampling, and personal digital music players, the Arkiv was created to conquer the task of extracting every last detail from vinyl records before they are finally transcribed into the digital domain. The Arkiv not only features best-in-class sound reproduction, but also features high gloss white finish and metallic printing for a stylish, clean look.